Taalem delivers yet another album, this time by Laurent Peter, who stands behind the name D’incise. “Arpenter”, rich with sounds and textures, whether minimal or saturated, is made out of two tracks. 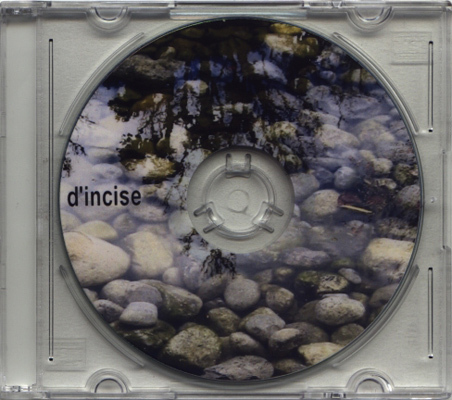 D’incise captures different field recordings from abandoned hospitals and other environments. The result is haunting and eerie. It is difficult to mentally separate the different recordings and to understand which sound comes from which place, but that works perfectly for the twisted atmosphere of long drones, distant bells and shattering glasses. The barren, deserted world in “Arpenter” still holds the ghosts of human voices, sometimes too brief and vague to actually believe I have heard them over the distant birds that can be heard as well. The bells ringing, along with the occasional metallic thunders, are devoid of any ceremonial value whatsoever. Instead, their echoes offer the expansion of the space that is created by the sounds of the album, adding the affirmation of how big and empty this place is. Rain, distant people climbing the stairs, something burning, these elements are wonderfully recorded and interwoven with the rest of the music sometimes surrendering their instant effect as Musique concrète in order to become an integral part of the haunting vision of the overall album. “Arpenter” is a great choice of an album for anybody who looks for disturbing and unsettling worlds of sound, and should be a proud moment, among many others, for Taalem records.